Each bookmark or item of jewellery listed in the shop is sold as photographed / described. However if you want a customisation to personalise your purchase, for example the design created in a specific colour or bead, then contact me. Type of jewellery you want. Size of ring / bracelet or necklace. Type, colour and size of beads. I can source a wide range of beads and materials to make your bespoke piece which will be as unique as you are. However, if you have your own beads or materials that you would like to have included in your design then I can also accommodate this. Once I have received your details I will get back to you to discuss your design requirements in more detail. You will receive a written agreement form with payment terms and conditions and delivery time estimates. If you agree to go ahead I will send you an invoice to pay a non-refundable 50% of the total payment. I will start working on the piece once I have received your deposit. Alterations to the size of the piece are covered by the original price quote. However, other alterations and a complete redesign will be charged additionally and won’t be covered by the original price quote. The total balance will be due once the commissioned piece is finished. I will send you an image of the finished piece with the final invoice. Once I have received the final balance I will dispatch your item. Custom-made jewellery cannot be returned and refunded. Please read the terms and conditions for more information on commissions. 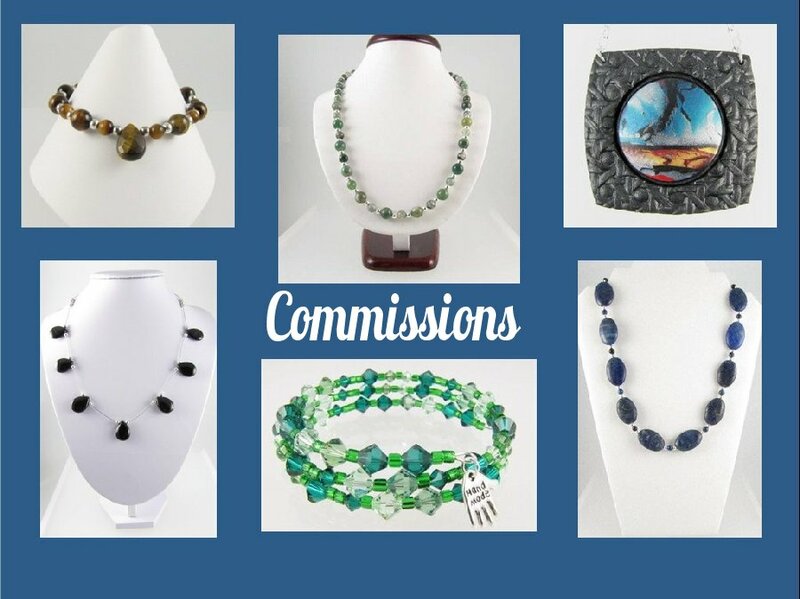 Below you can find some examples of sold items and past commissions.